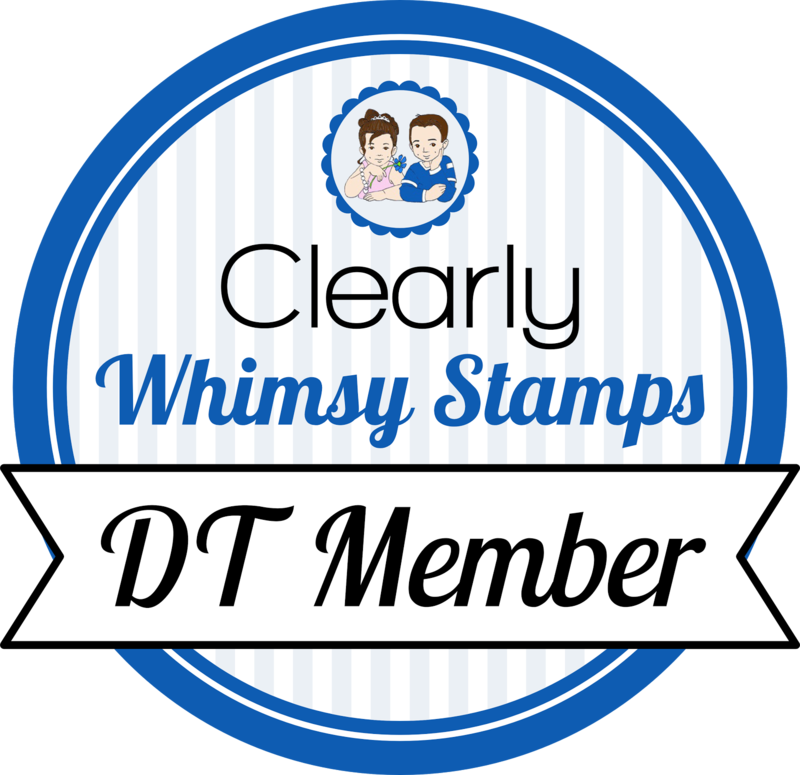 I've got a pretty simple almost-one-later card for you today, using Whimsy Stamps. I started by stamping the hexagon background repeatedly on a card base. I added the lavender and butterflies (Lovely Lavender), and then added the strips with the sentiment from the same set. 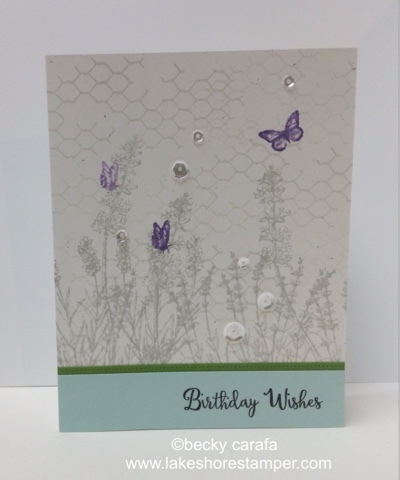 I finished the card by adding some sequins and some clear shimmer on the butterflies and plants. Thanks for stopping by!